Order it from AK PRESS or from AMAZON. Jonathan Smucker was among ten grassroots organizers and advocates who contributed to a VICE Magazine featured forum on “effective activism.” The other nine contributors were Sister Simone Campbell, Senator Kirsten Gillibrand, George Gresham, David S. Johnson, Rosalyn Koo, Srdja Popovic, Mark Rudd, Ned Ryun, and Linda Sarsour. With insufficient organization and political power, activism too often contents itself with the futile exercise of “speaking truth to power.” The hard truth is, the powerful are not overly concerned about our truth. They are perfectly OK with us standing on the sidelines protesting them, holding a righteous flame in the wind, shouting our truth until we are blue in the face. What they really do notwant is for us to arm our moral protest with political power. Read the whole VICE forum here. 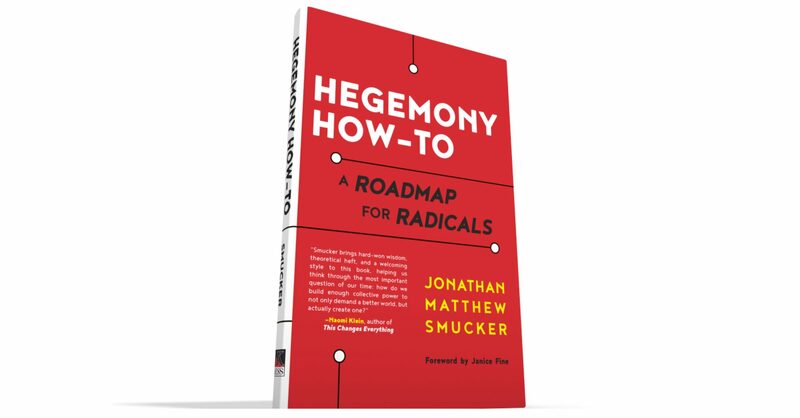 Order Hegemony How-To today from AK Press or from Amazon.